Much like mango, pineapple is one of those fruits that I forget how much I enjoy until I eat it again. After being reminded by eating some a couple of weeks ago, I decided I needed to work it into a smoothie. 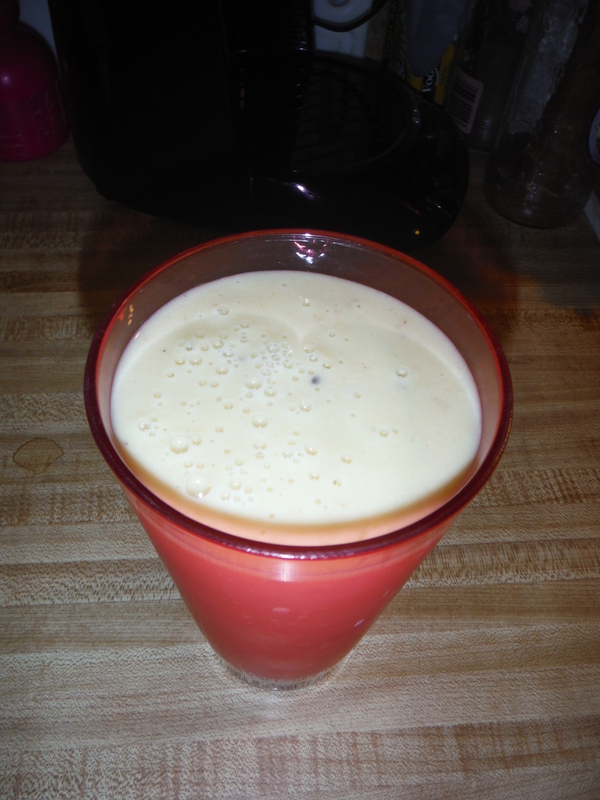 Since pineapple orange juice is a thing, I figured a pineapple orange smoothie would be a good bet. And it was! 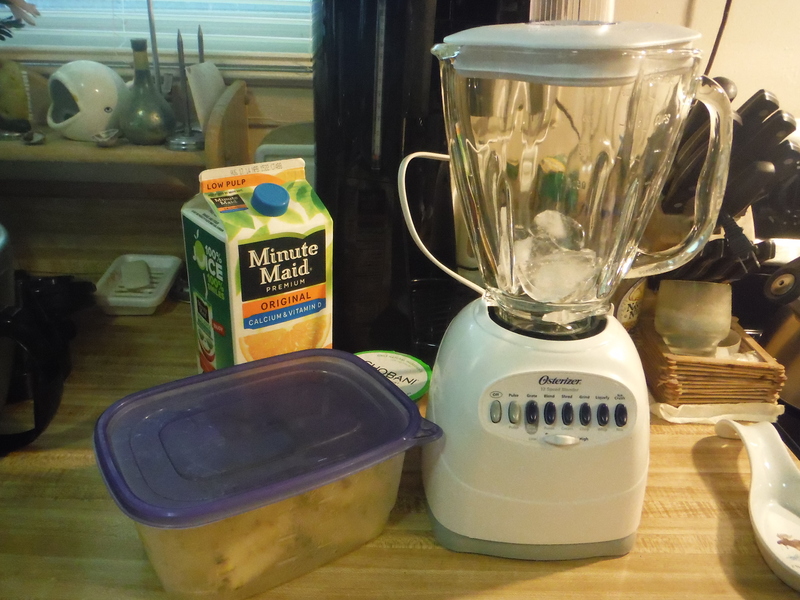 Combine the pineapple rounds, yogurt and ice cubes in the blender and blend until smooth. Add the orange juice and blend to mix. Taste and add salt and sugar as needed. I didn’t need any sugar for mine (but added salt as per usual). Once everything is well blended, pour into a large glass and enjoy. Note: if you’re using fresh pineapple, make sure you’ve cleaned the rind off completely. Those little pokey brown bits won’t necessarily blend down. I found that out the hard way. Posted on August 10, 2014, in Etcetera and tagged breakfast, easy, forbidden fruit, gluten-free, healthy, It's a winning combination, pineapple, recipes, smoothie, Smoothie Sunday, yummy. Bookmark the permalink. Leave a comment.